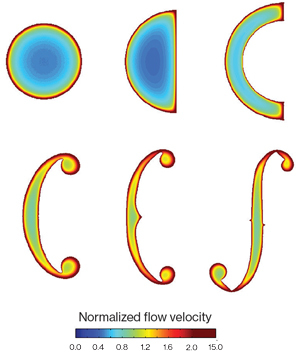 Study identifies features that boost a violin’s sound. Some of the most prized violins in the world were crafted in the Italian workshops of Amati, Stradivari, and Guarneri—master violin-making families from the 17th and 18th centuries, who produced increasingly powerful instruments. These violins, worth millions of dollars today, represent the Cremonese period, considered the golden age of violin making. Now MIT researchers and violin makers at Boston’s North Bennet Street School have analyzed measurements from hundreds of Cremonese-­era violins, identifying features that contribute to their acoustic power, or fullness of sound. Very interesting article, Diane. Funny though, not funny ha ha but funny peculiar. I was at my luthiers shop on Saturday and talking about graduating the top of the violin kit I have. I asked him how if the back of the violin needed to be graduated. He said the back is not as important as the top and can be thicker, no problem there. 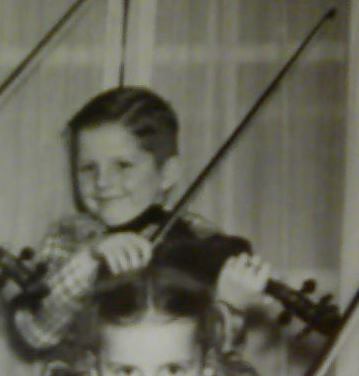 "The violin’s back plate also contributes to its acoustic power. Violins carved from wood are relatively elastic: as the instrument produces sound, its body responds to the air vibrations. A thicker back plate leads to more sound power at the air resonance frequency". Good information, thank you, Diane Scratchy.